Akebono cherry trees have reached peak bloom in downtown Vancouver. It’s a lovely time for a walk. 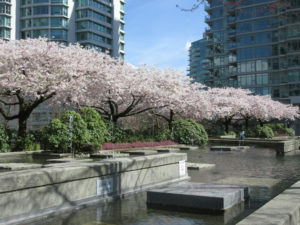 Want to know more about Vancouver cherry trees? Join our free Cherry Talks and Walks starting this Sunday April 7.